N 39° 54' 51" and E 69° 0' 11"
Istaravshan in Istaravshan District (Viloyati Sughd) with it's 52,851 citizens is a town in Tajikistan about 96 mi (or 154 km) north of Dushanbe, the country's capital city. Current time in Istaravshan is now 08:42 PM (Saturday). The local timezone is named Asia / Dushanbe with an UTC offset of 5 hours. We know of 8 airports near Istaravshan, of which one is a larger airport. The closest airport in Tajikistan is Khudzhand Airport in a distance of 42 mi (or 68 km), North-East. Besides the airports, there are other travel options available (check left side). There is one Unesco world heritage site nearby. It's Proto-urban Site of Sarazm in a distance of 87 mi (or 140 km), West. When in this area, you might want to pay a visit to some of the following locations: Ghonchi, Shahriston, Zafarobod, Ak-Suu and Nov. To further explore this place, just scroll down and browse the available info. Let's start with some photos from the area. 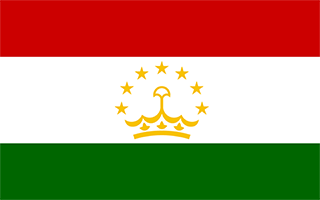 Tajikistan. See on map http://tours-tv.com/en/Istarawshan . Istaravshan is a city in Sughd Province in Tajikistan. Located in the northern foothills of the Turkistan mountain range, 78 kilometers southwest of Khujand, Istaravshan is one of the oldest cities in Tajikistan, having existed for more than 2500 years. Before 2000, it was known as Ура́-Тюбе (Ura-Tyube) in Russian, Уротеппа (Uroteppa) in Tajik and Uratepe in Turkish. Located at 39.9108, 69.0064 (Lat. / Lng. ), about 0 miles away. Cyropolis, (literally "The City of Cyrus") was an ancient city founded by Cyrus the Great in northern Tajikistan in 544 BCE to mark the northeastern border of his Persian empire and identified with the medieval and modern city of Khojand. Located at 40, 69 (Lat. / Lng. ), about 6 miles away. 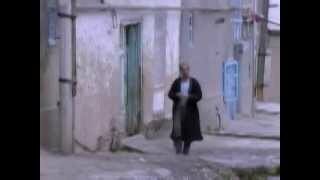 Gazantarak is a town and jamoat in north-west Tajikistan. It is located in Ghonchi District in Sughd province. The jamoat has a total population of 13,359. Located at 39.9667, 69.1333 (Lat. / Lng. ), about 8 miles away. Nijoni is a town and jamoat in north-western Tajikistan. It is located in Istarawshan District in Sughd province. The jamoat has a total population of 7,747. Located at 39.9667, 68.9167 (Lat. / Lng. ), about 6 miles away. Poshkent is a town and jamoat in north-western Tajikistan. It is located in Istarawshan District in Sughd province. The jamoat has a total population of 13,292. Located at 39.8833, 69.0333 (Lat. / Lng. ), about 3 miles away. These are some bigger and more relevant cities in the wider vivinity of Istaravshan. These are the most popular locations in Tajikistan on Tripmondo.